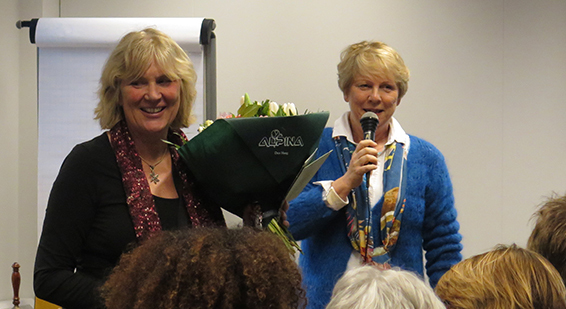 During the February international meeting week, we congratulated senior consultant Netty Kamp with 12½ years of service (halfway to her silver jubilee) at KNCV. Executive Director Kitty van Weezenbeek recalled how Netty came to KNCV in 2003 from a reproductive health background, bringing new areas of expertise and experience to the organization. Netty’s contribution has been especially important in community engagement and in advocacy, communications and social mobilization. She has chaired the Global Stop TB Sub Working Group on ACSM for two terms.